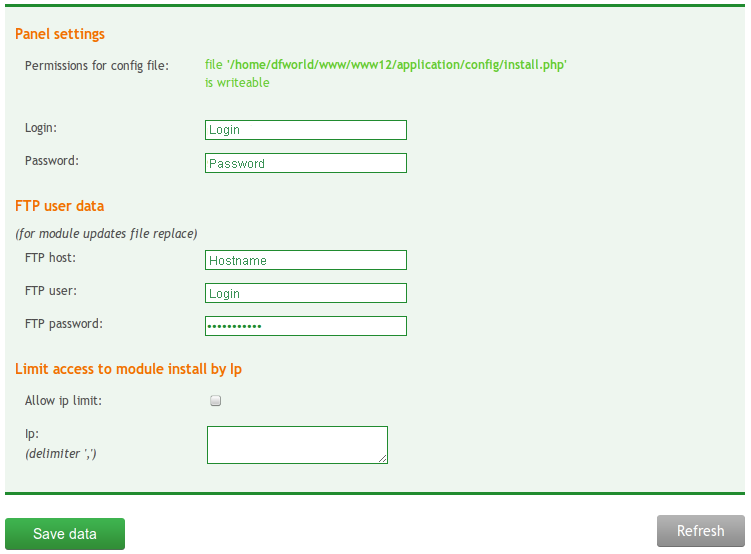 It’s necessary to login to access modules installation section. Find your login and password in application/config/install.php file. Panel settings section is necessary to update FTP access information and limit access to “Modules installation” section by IP. Update your FTP access here before updating, installing or disabling modules. If you do not want someone else to access this section from unauthorized IP addresses, add a check and your IP addresses (divided by a comma). 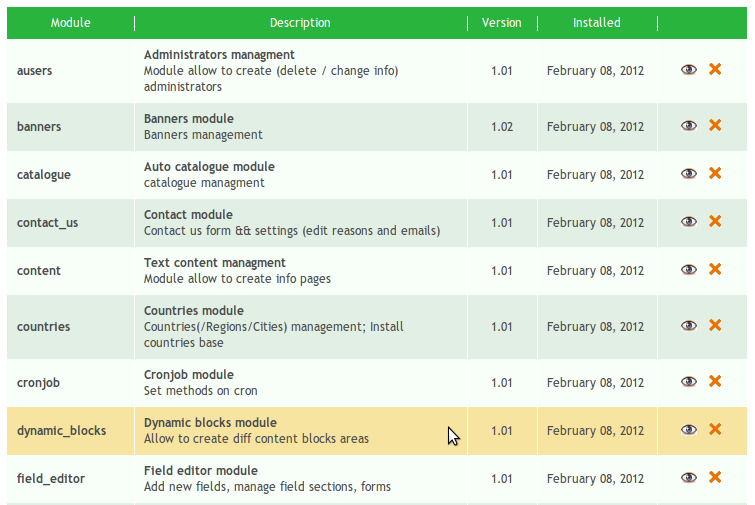 Installed modules section shows a list of modules installed on your site. Click “Remove” to uninstall a module. You’ll see module description and if it has any related modules. Note: It’s not recommended to uninstall related modules. If there is a module awaiting installation, you’ll see it in Enable modules section. A list of installed libraries and their versions is shown in Installed libraries. If there is an update available, you’lll see an oppotunity to update it.